Each patient’s annual subscription fee covers the cost of all doctor appointments for a full year, along with many in-office procedures. While the practice does not accept insurance for Dr. High’s time (covered by the subscription), patients may use insurance for lab work, hospitalization, prescription medications and specialists such as orthopedists and obstetricians. Thomas J. 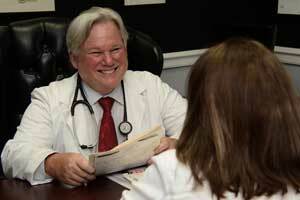 High Family Medicine does not accept Medicare, Medicaid or Humana HMO-X (Affordable Care Act). Increased interaction with our patients allows us to thoughtfully consider existing or potential illnesses, injuries and medical conditions, and to examine outside health influences such as lifestyle, family medical history, risk factors, personality types, etc. Because you have access to us after hours and quick appointment scheduling, you will never have to wait to discuss a concern with your doctor. For more information, see our FAQs page.